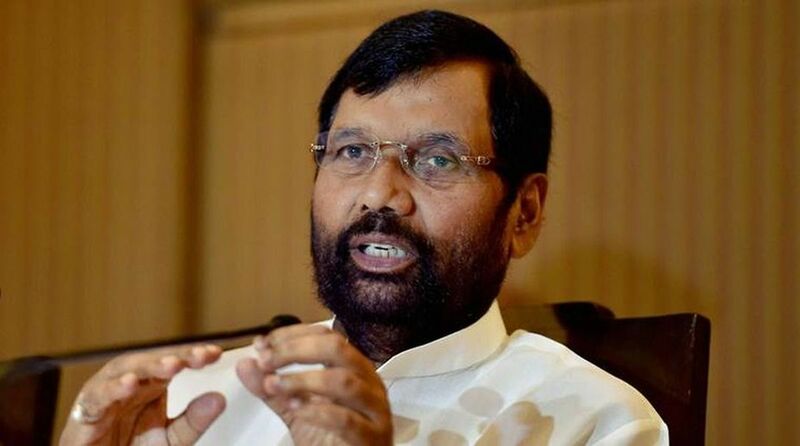 Union Minister and Lok Janshakti Party (LJP) leader Ram Vilas Paswan on Sunday claimed that people were likely to bring Prime Minister Narendra Modi back to power in the 2019 Lok Sabha elections thanks to his politics of development and recent move to grant 10 per cent reservation to poor among the upper caste population. Paswan, who had earlier decided against contesting the 2019 Lok Sabha elections, said that as a result of the Constitutional amendment bill setting aside 10 per cent reservation, the BJP-led NDA would gain by a similar percentage in its vote share in the ensuing Lok Sabha polls. “Let me tell you. This 10 per cent quota will lead to a rise of 10 per cent in our vote share,” he said. The Union minister admitted that some of the measures that the present government had earlier taken created resentment among the common people. He, however, said the people were ready to vote for Prime Minister Narendra Modi’s ‘strong and stable’ leadership. “A few more months are left to the Lok Sabha elections. The government will shoot one arrow after another. What will also weigh the most on people’s mind is who will be the opposition’s choice as prime minister. Whether the next government will be a stable or temporary one, people will prefer a strong, stable government to a weak and unstable government, leading to Modi’s victory,” Paswan explained. In his state wise analysis of the impact of the 10 per cent reservation for the poor among the Upper caste, Paswan said it was going to adversely impact the RJD’s electoral chances in the light of their opposition to the measure. He said in Uttar Pradesh the NDA would repeat its showing of 2014 in Uttar Pradesh and was expected to win 70 of the 80 Lok Sabha seats. Paswan, however, warned against occasional off the cuff anti-Muslim remarks by a section of the BJP leadership which he said might go against the alliance. 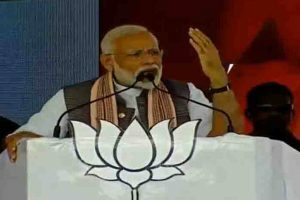 He said in recent times there had been a positive change in Dalit’s perception about the Prime Minister which is going to help the NDA’s prospects in the coming elections to the Lok Sabha. “…Dalits now know that Modi is not anti-Dalit as used to be projected. He strengthened the law on atrocities against them and has done so much for highlighting the legacy of Bhim Rao Ambedkar. A majority of them will support him during the polls,” Paswan said. About the BJP’s defeat in the assembly elections in Madhya Pradesh, Rajasthan and Chhattisgarh, Paswan said the party had learnt its lessons from these defeats. He indicated at a possible slew of measures by the government in the run up to the elections that he said were likely to further strengthen the NDA’s prospects. Paswan also questioned the fate of the opposition alliance. He said the alliance was nothing but a bundle of contradictions. He said a large number of political parties including the Congress party in the opposition alliance were yet to decide on their respective prime ministerial candidates. He said as against other parties the Congress is the only national party in the opposition ranks. Seeking to underline the ‘conflict and contradictions’ within the opposition led ‘Mahagathbandhan’ Paswan said the RJD is with the Congress party in Bihar and backing the Samajwadi Party-BSP alliance in Uttar Pradesh. The SP-BSP alliance has kept the Congress out of it while agreeing to let it contest from a couple of seats. Paswan pointed out that two major units of the opposition alliance – BSP’s Mayawati and Trinamool Congress’ Mamata Banerjee – had prime ministerial aspirations. He further said the Congress has had a past history of destabilising governments run by small parties at the Centre.